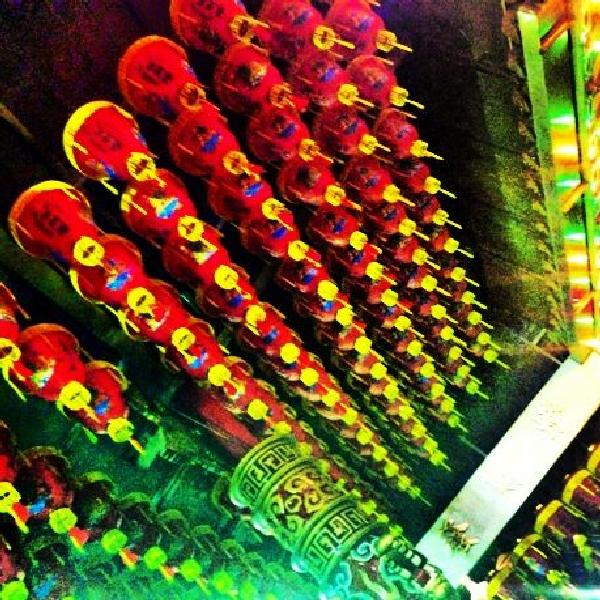 I’m a bit of a sucker for a Taoist temple…and one with red lanterns, a dragon or two and some carvings? I’m there. 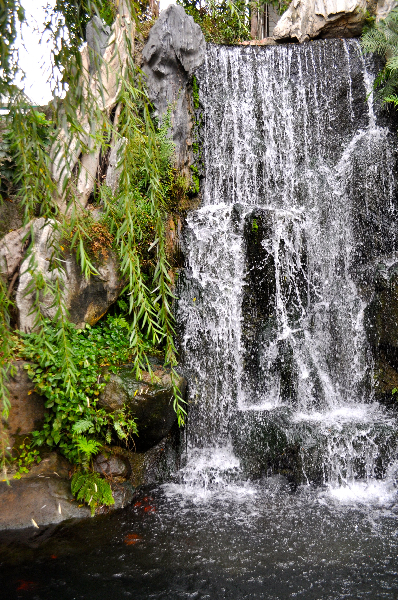 Some chanting and a fountain? I’m your girl. 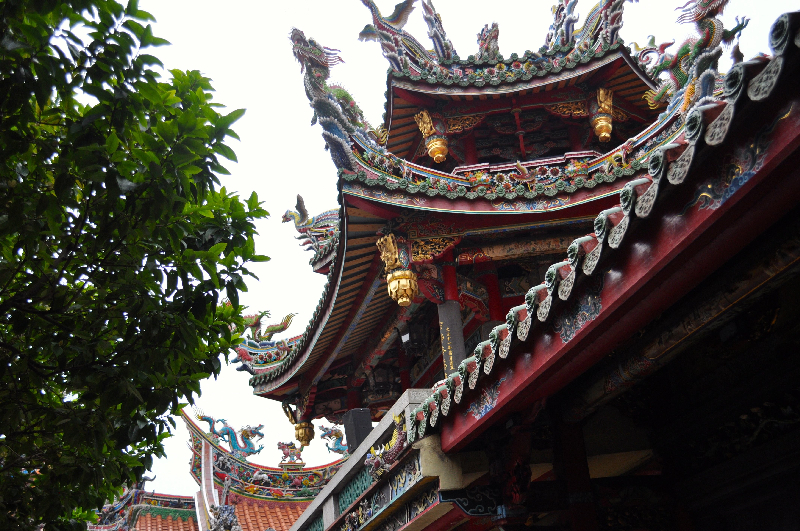 This one, in Tamsui, or Danshui, was built in 1796. 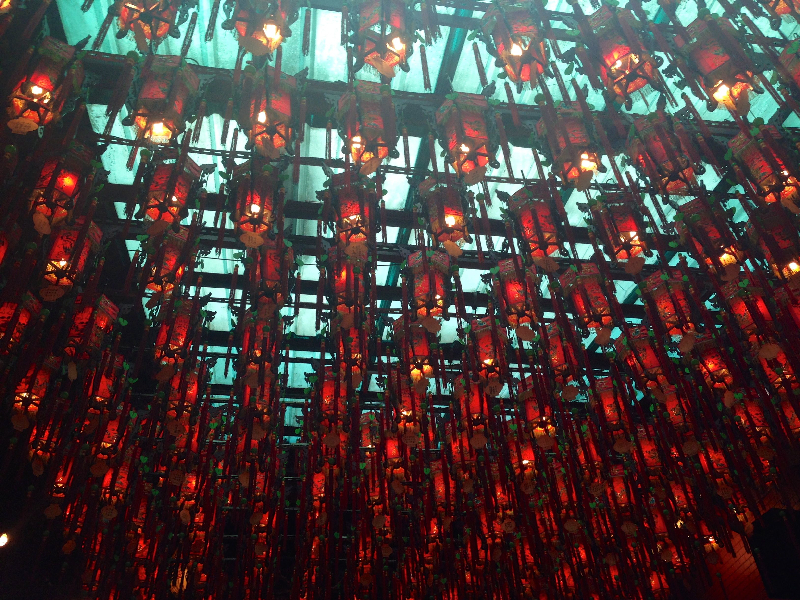 Being on the coast, it’s dedicated to Matsu, Goddess of the Seas. 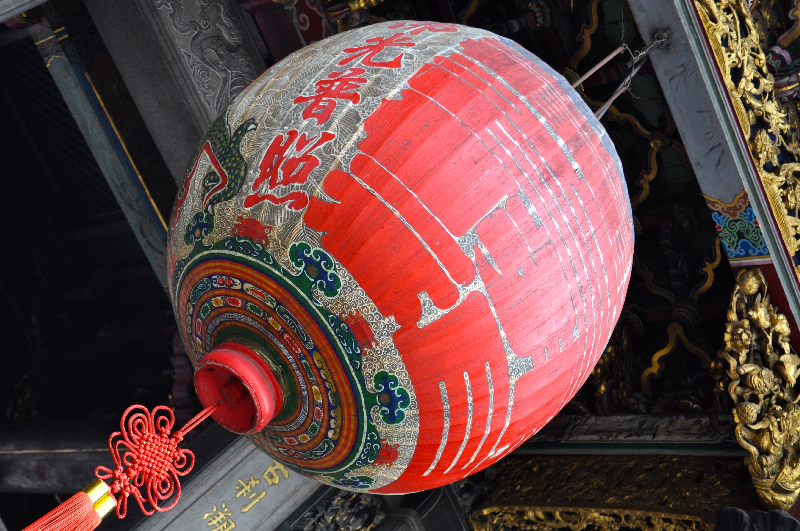 I pulled a Chien Tung or Chim stick, but it’s in characters, so meant nothing. This was to be a pattern of sorts. 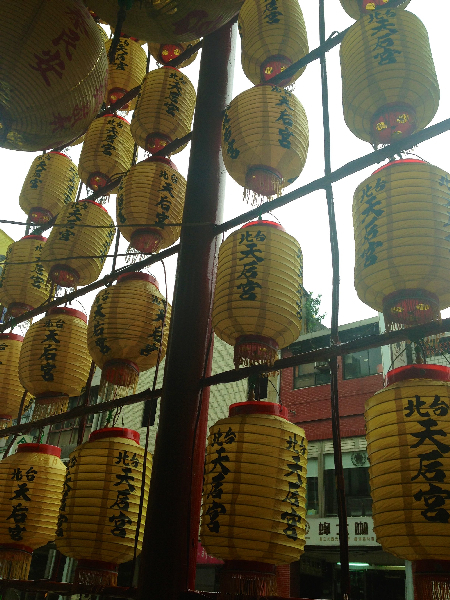 Obviously not the name of it, but this small open air temple near Wu Fen Pu market was irresistible- it was the lanterns. Again I pulled a stick, again, it made no sense. 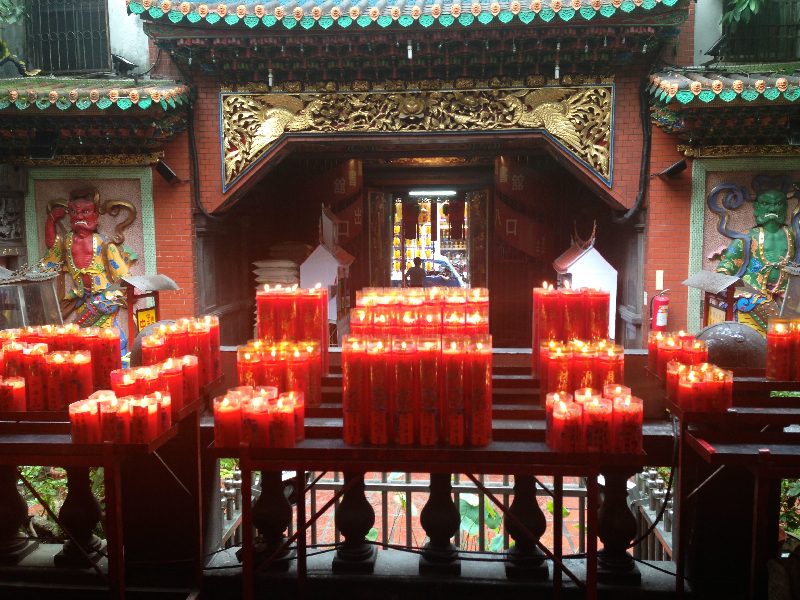 There are a few Longshan Temples around. 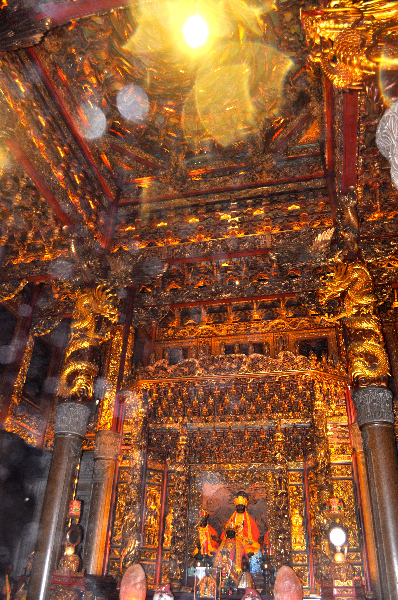 This one is accessible from, wait for it, Longshan Temple MRT station. Convenient, hey? It’s also one of the busiest. 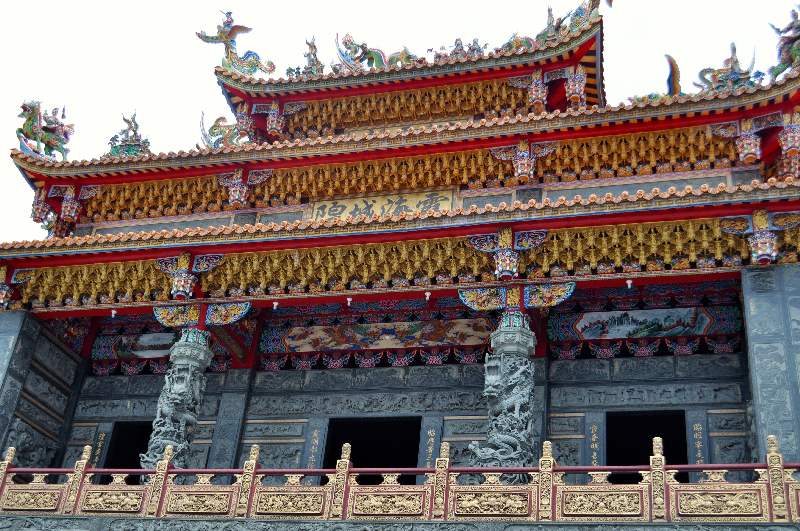 The temple was built in 1738- there’s a story, I won’t go into. 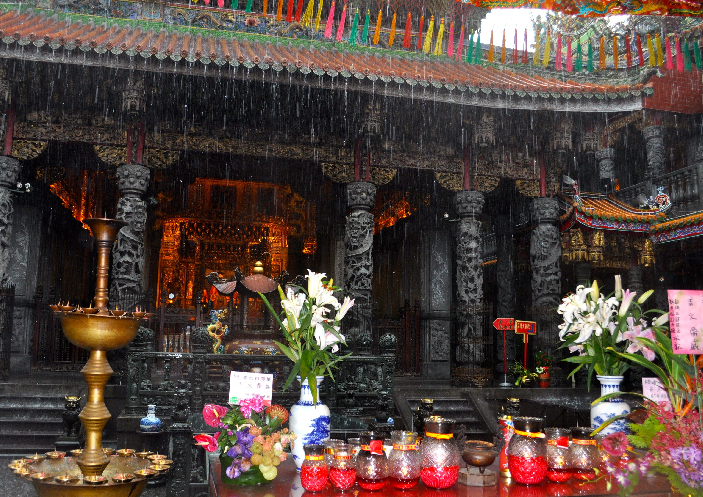 Guanyin is the main deity worshipped here- he provides safe travel for air travellers- although Matsu and another 165 deities are also represented. When I was here, just after 9am one morning, the chanting was still happening, and the tables were full of offerings and the temple itself full of people paying their respects. 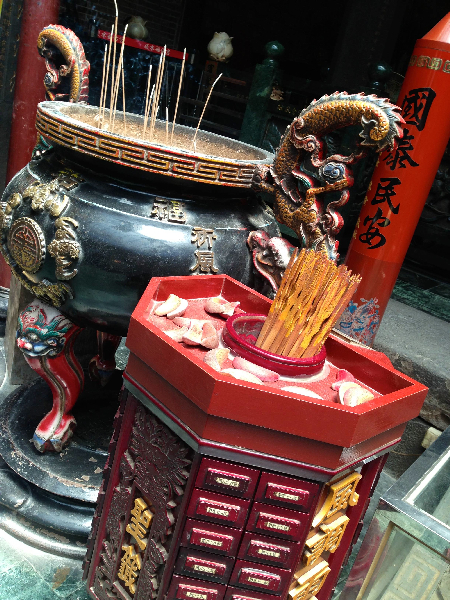 The streets around are full of stalls selling herbal remedies, religious trinkets and offerings. 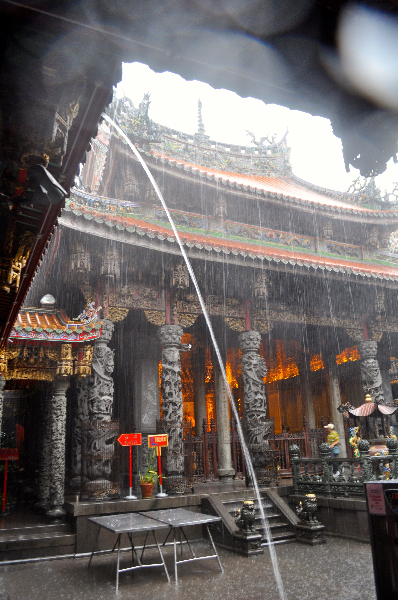 If you want to visit just one temple in Taipei, this is a good choice. I pulled another chim stick. I pulled a chim stick and the guide told me it was a lucky number and I’d have good fortune. I suspect he says that to all his clients. 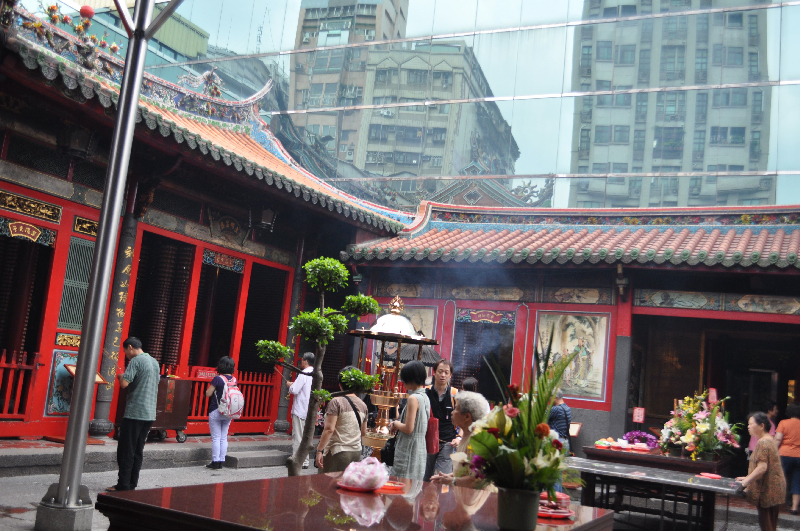 In the heart of the commercial, trendy centre that is Ximending (Ximen MRT) is this temple, almost hidden from the street, albeit with ornate lanterns out the front. 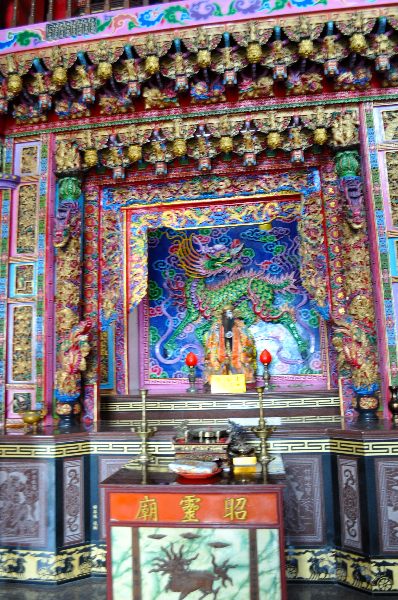 The original temple was demolished during the last years of the Japanese occupation to make room for a road, so this one has only been here since 1948. 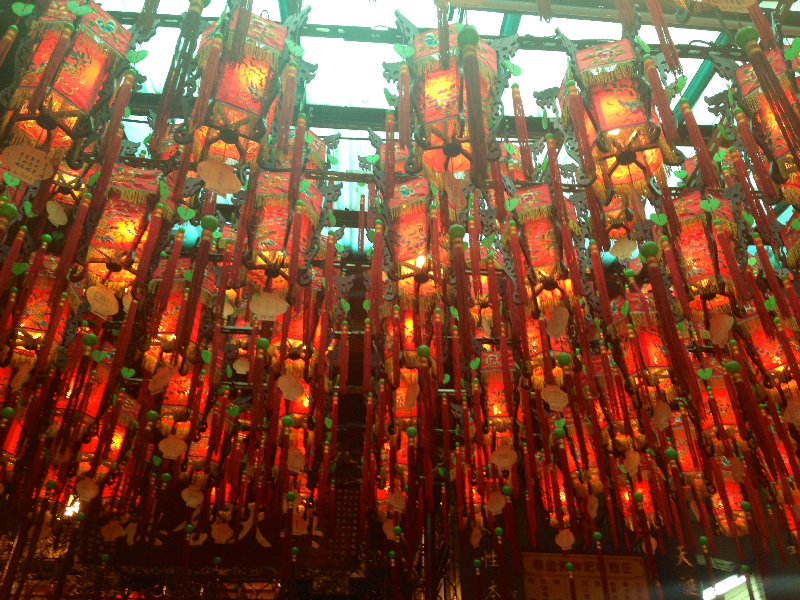 Having said that, this is also a busy temple, with lanterns enough to satisfy even me. I suspect that if it hadn’t been for the sheeting typhoon rains and sploshing trainers, this just might have been my favourite. 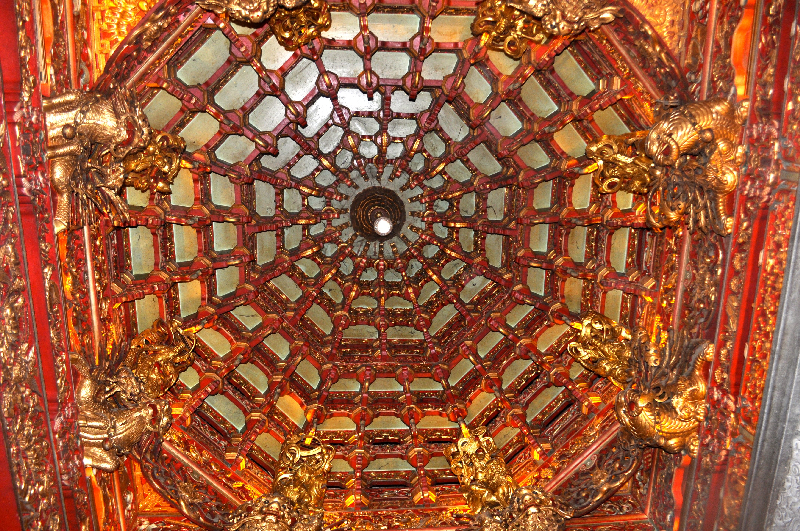 The ornate carvings, separate pavillions, the excessive use of gold leaf…words failed me when I was there, and they fail me now. The photos, in the dark of the thunderstorm and with rain on my lens, certainly don’t do this one justice.